Right here. 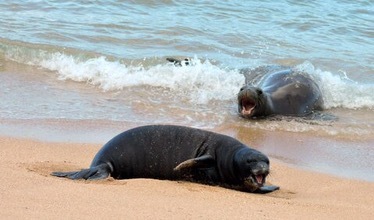 This photo explains why monk seals are known as true seals. 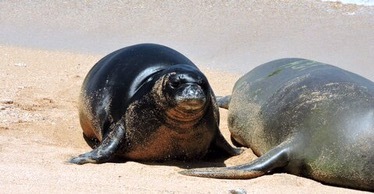 Taxonomically, the Hawaiian monk seal belongs to the order of pinniped, a member of the group of marine mammals that also includes sea lions, fur seals, and walruses. 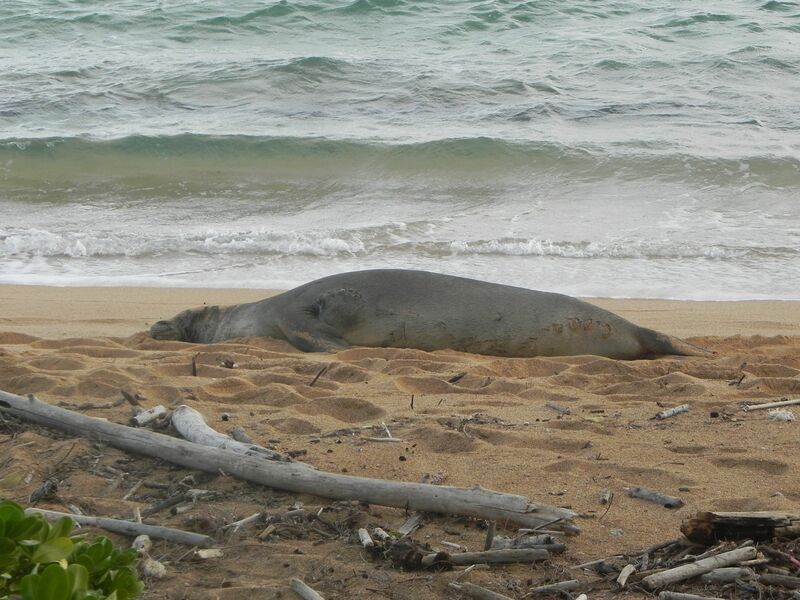 But here is where monk seals differ. 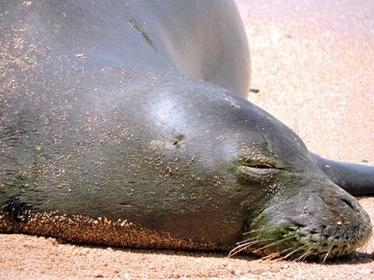 Monk seals are part of the family Phocidae–true seals–members of which are characterized by their lack of external ear flaps. 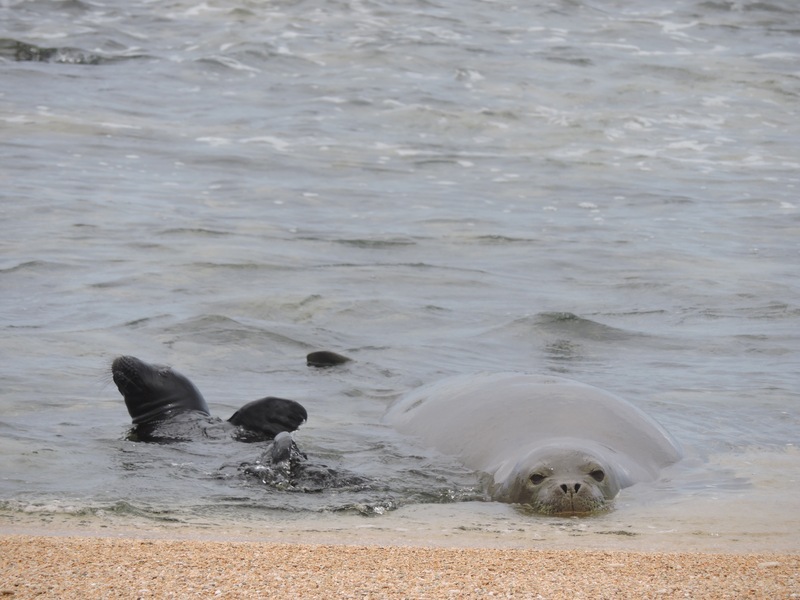 Monk seals’ ears are visible as small holes on the sides of their head; a narrow canal leads to the middle ear. 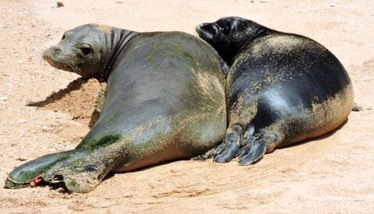 There are some other unique attributes that distinguish true seals from sea lions, fur seals, and walruses. We’ll get to those in future posts. 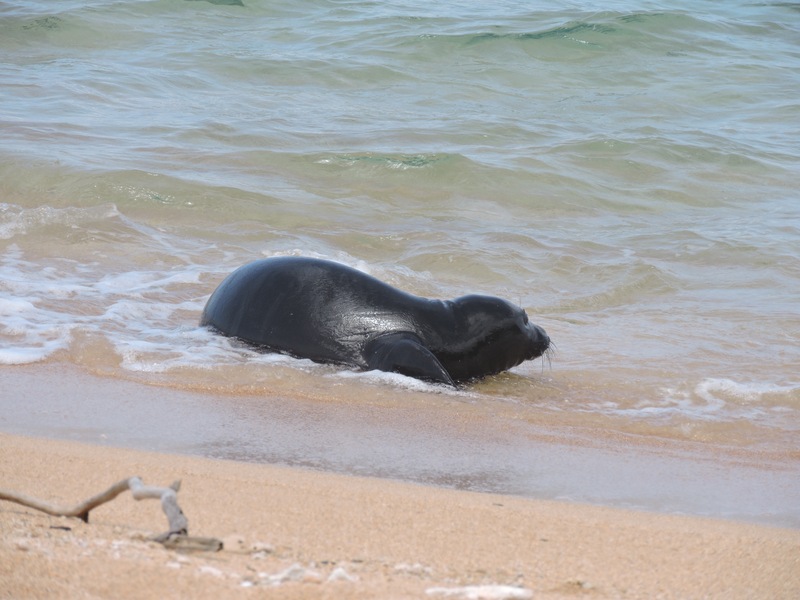 A little over three hours of swim time and three feedings were observed today for PK2 (born to RK22). No encounters with male visitors but 3CU, Temp 325 and R313 were in the area. 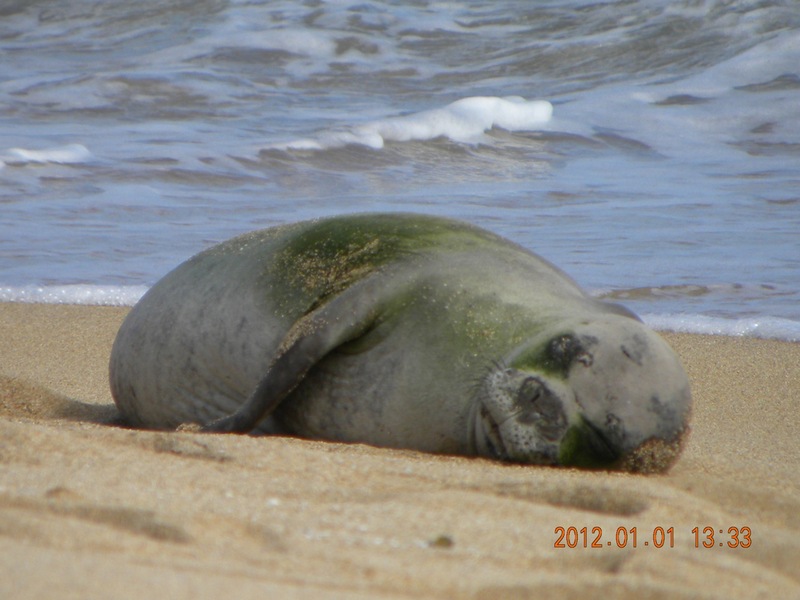 Our newest pup PK3 (born to RO28) is starting to spend more time in the water–sleeping as well as napping. 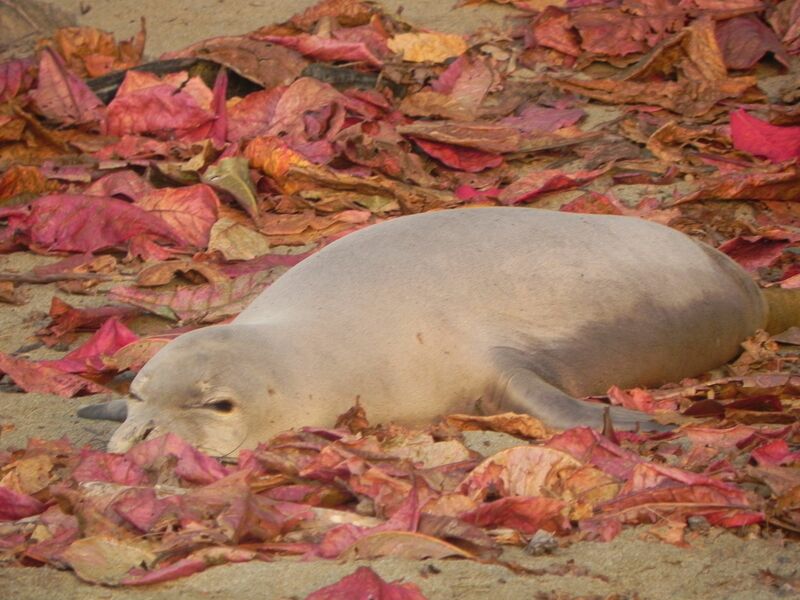 It was another seal-y day. This time, a female, R313, hauled out about 40 feet away from mom, RK22, and pup, PK2. There was no interaction until the male RV18 showed up. Only this time, his interests were focused on R313. 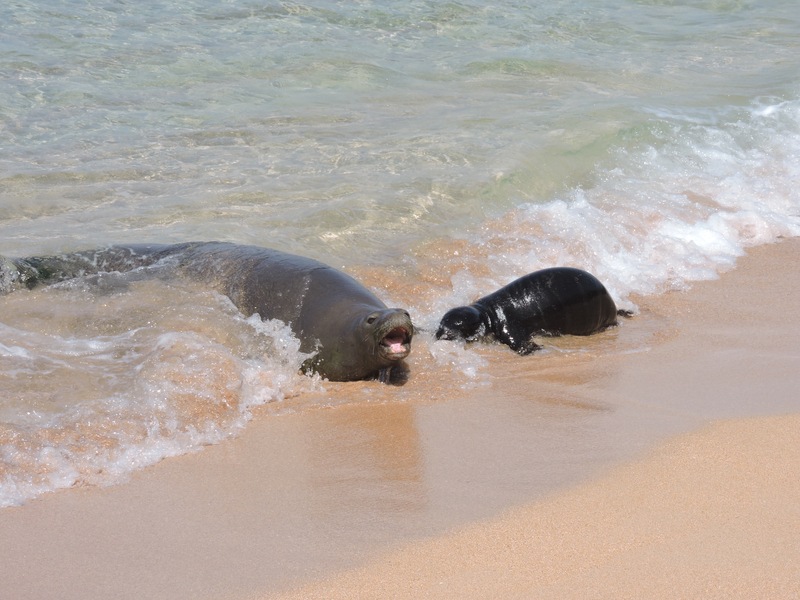 Mom and pup logged an early morning two-hour swim, and a one-hour-and-ten-minute swim in the afternoon. Four feedings were observed throughout the day. 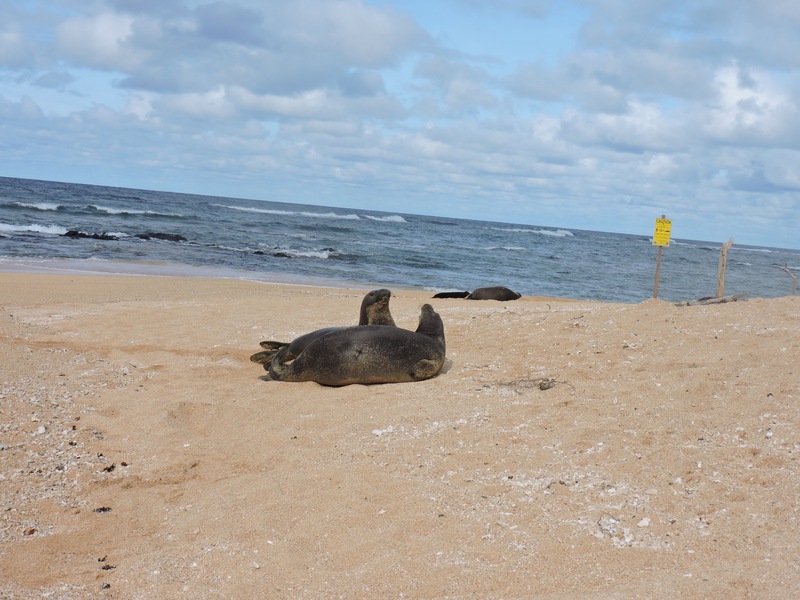 On April 26, a video showed a seal at Salt Ponds County Beach Park being harassed by a man. 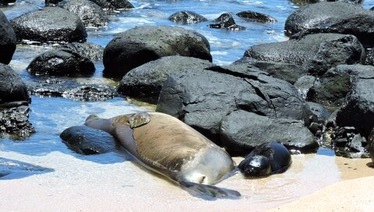 The seal was reported as RK30, a 17-year-old female and pregnant at the time. The video went viral, and a 19-year-old man was arrested within a few days by Hawai‘i State DLNR officers and NOAA Law Enforcement. Story here and video here. The good news is that less than a week later, RK30 gave birth to her seventh pup. Story here. RK13 Due possibly any day, though her pregnancy is unsure.